I will be spending my day running errands, getting a workout in, cleaning, and planning and preparing food for this weekend. We are going to be cabin bound tomorrow and I am so ecstatic for a mini getaway. We will be heading to my aunt and uncle’s cabin (actually two of my uncle’s cabins) and my mom and dad are going too. There will be loads of relaxing, laughs, and hopefully lots of sun involved. It will be the cure for my ailments. 🙂 I am in a much more positive mood today compared to the other day and it feels good. I still have some decisions to make regarding my diet, but I am not stressing about it anymore. Let’s back the train up a bit and talk about Thursday shall we? I had a real good day of eats yesterday. A two ingredient pancake. 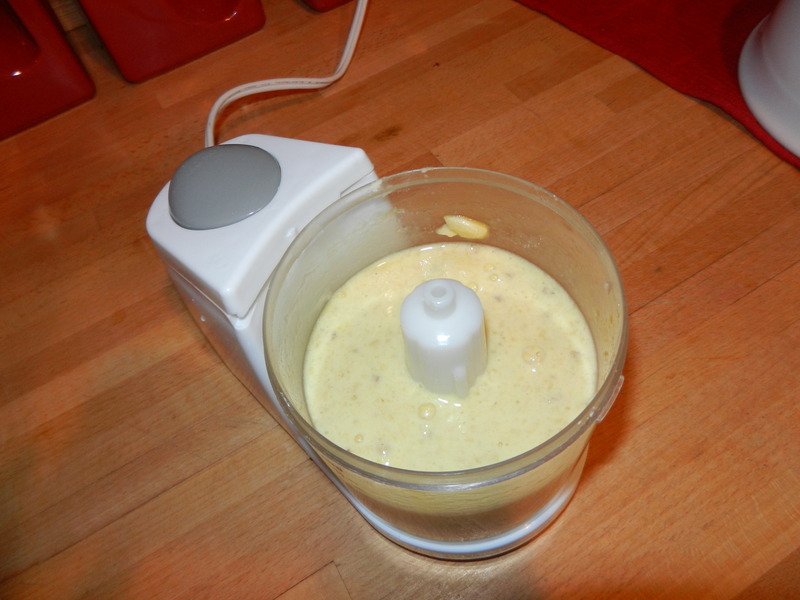 In my mini blender, I blended one ripe banana with one egg. 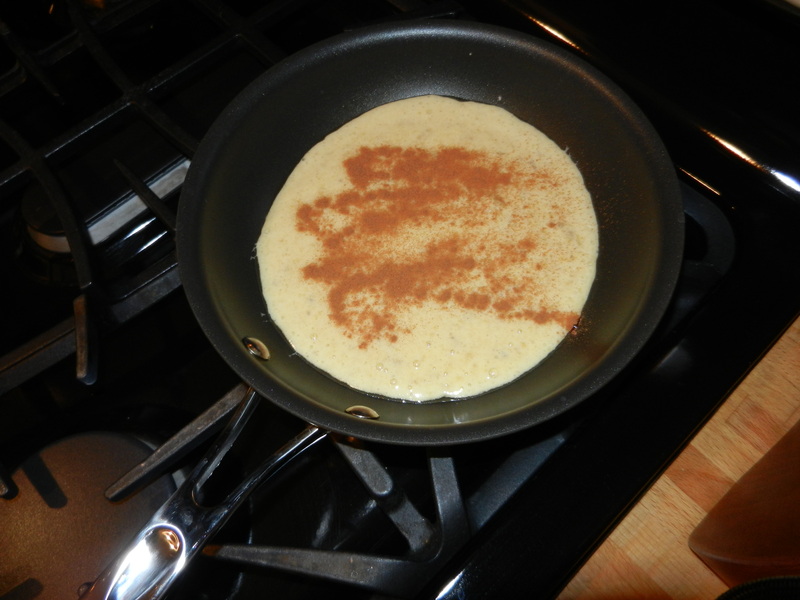 I should have added a dash of cinnamon to the blender, but since I forgot, I sprinkled it on after I poured the pancake batter into a lightly oiled pan on the stove top. I cooked the pancake over medium heat for 3-4 minutes, or until the bottom was beginning to lightly brown and then flipped to the other side. It was a challenge flipping this guy over and I broke it into a few pieces in the process. I cooked the other side for another 3-4 minutes. It finished cooking right in time before I had to head out the door to work. 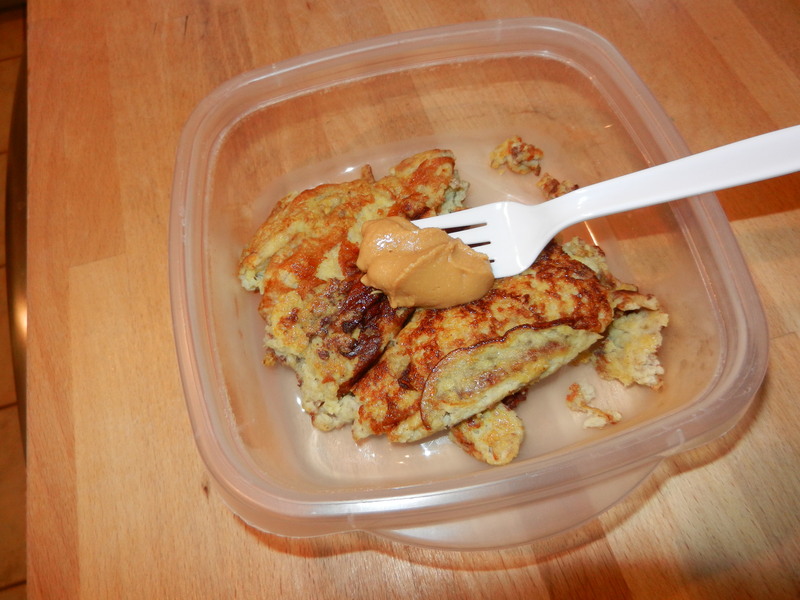 I tossed the warm pancake into a Tupperware container, topped it with a teaspoon of peanut butter, and off I went. I was feeling pretty hungry yesterday and my tummy was really talking to me around 11:00 am, but I had to wait until noon to eat lunch. 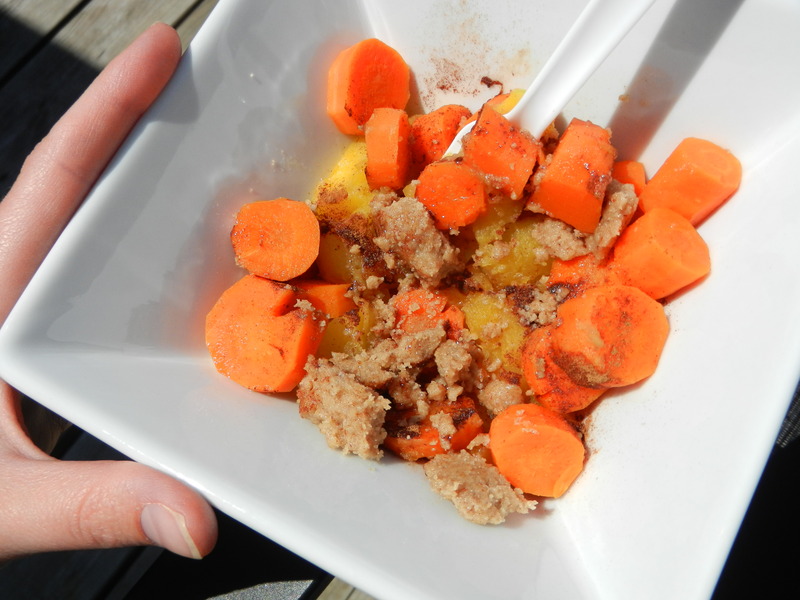 I ran home at break (not literally) and threw together a bowl of cooked carrots and butternut squash sprinkled with cinnamon and almond butter. So far it was a nut butter and cinnamon-y kind of day! I had another bite of almond butter and some watermelon to finish off lunch before having to head back to work. BTW if you think the almond butter looks a little dry, it’s because it is. 🙂 I used a little sunflower oil in the mixing process to try and smooth it out but apparently it wasn’t enough. I still really enjoy it though. After work I headed to the gym but really wasn’t in the mood for a workout. I was feeling a little bloated and was completely wiped from my day. I decided to make it an easy one and nestled myself onto an elliptical with a copy of Rachael Ray’s magazine. I finished off 30 minutes and called it a day. Now, dinner is something I am excited to talk about. I got pretty creative in the kitchen last night and concocted a stinkin’ awesome recipe, and it follows the SCD too! 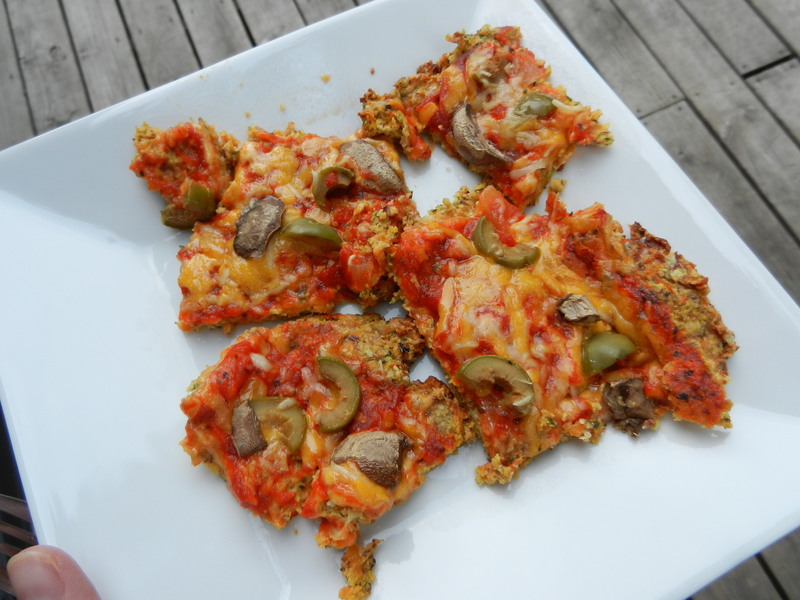 I made what I like to call Veggie Nut Pizza, and I blew myself out of the water with this one if I do say so myself. Get that oven going to 350°. 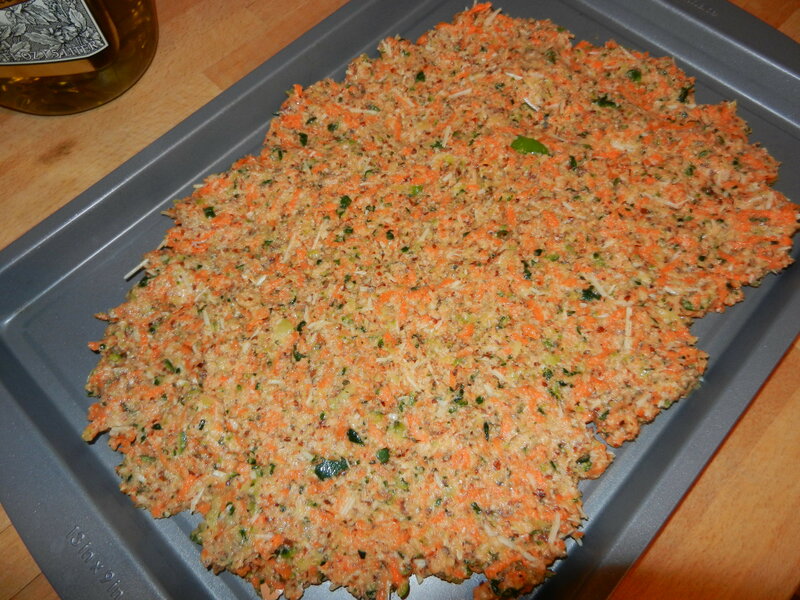 The first step is to grate zucchini and carrots into a large mixing bowl. I had frozen grated zucchini leftover from last fall so i thought I would use that up finally. I used about 1/2 cup zucchini with the water squeezed out. 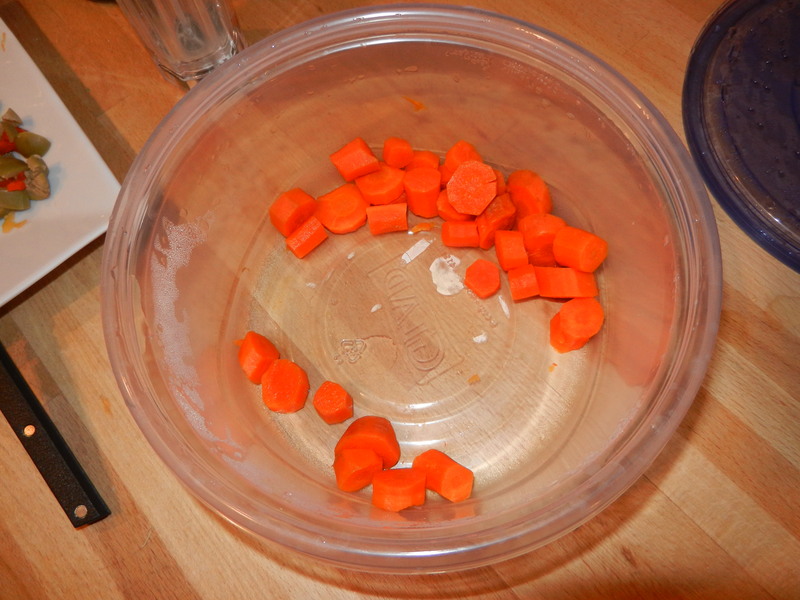 I grated about 3 carrots to make 1 cup of shreds. Next, I added 1 cup of almond flour, 1/4 cup shredded parmesan cheese, 1 egg, 1 egg white, 1 tablespoon olive oil, 1/8 teaspoon salt, 1/4 teaspoon dried oregano, 1/4 teaspoon dried basil, and cracked black pepper. I mixed it all up. On a baking sheet, I used a paper towel to lightly coat the pan with olive oil. 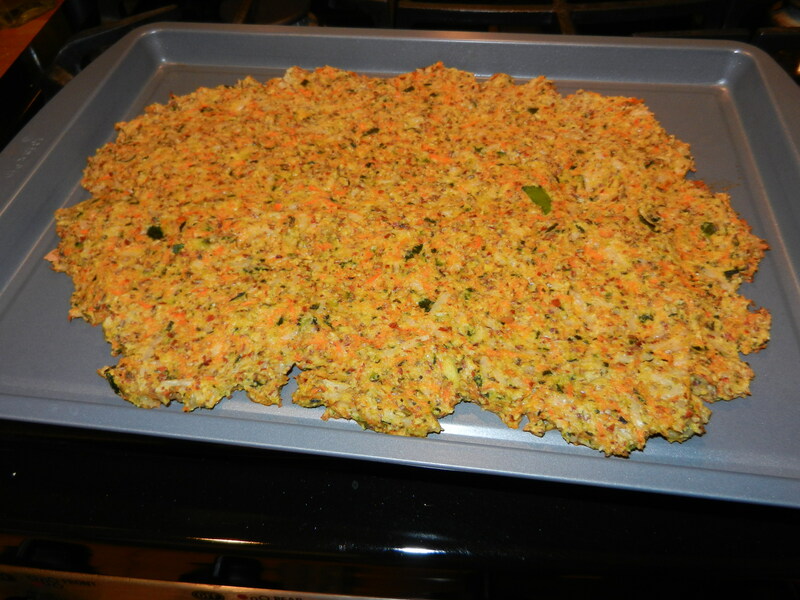 I placed the pizza dough on to baking sheet and spread it out evenly. I used a 9 x 13 baking sheet and the dough didn’t cover the whole thing. The crust was about 1/2 inch thick. Bake for 35 minutes. The top of the pizza should have a light golden color once it’s done baking. Next, top the pizza with marinara sauce (I made homemade SCD marinara last weekend and froze it), cheddar cheese, a sprinkle of parmesan, and whatever toppings you have on hand. I had mushrooms and olives so I threw some of those on. I went light on the cheese on top of the pizza because there’s some in the crust already. 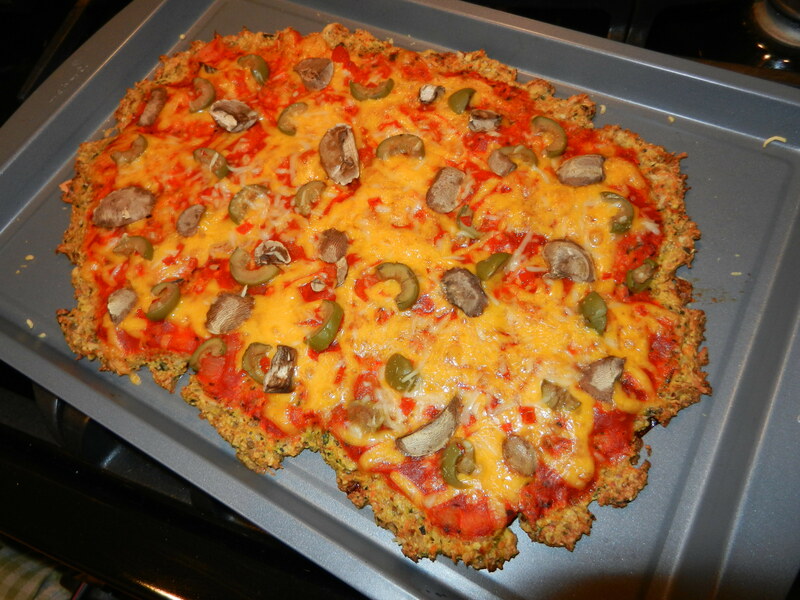 Bake the pizza for 12-15 minutes. While the pizza baked, I snacked on some cooked carrots. Once the cheese had melted on top, I switched the oven to low broil, to finish off the top and set the cheese just how I like it. You probably wouldn’t have to go through this step, but both Dana and I are kind of particular about how we like our cheese melted on our pizzas. Remove from oven, slice up, and seriously enjoy. I am telling you, this pizza will rock your socks. It is gluten-free and fits right into the SCD. Sure it takes a little prep, but this one is completely 100% worth it. Dana and I finished the pizza off with no problem. Yum. *Baking times will vary; keep an eye on your pizza! It really was a good day of eats! I am off to get some work done. I hope you all are having a wonderful Friday. I will catch up with you all soon. This entry was posted in Breakfast, Dinners, Recipes, Workouts and tagged Bananas, Eggs, Food Trials, peanut butter, SCD, Veggies by Melanie. Bookmark the permalink. Thanks, Patti! Yea it was a sorry attempt at a workout but hey, at least I was moving right? The pizza turned out AWESOME. I hope you have a wonderful relaxing weekend. Hi I’m loving your blog, it is amazing. I love your recipes, they’re so creative. I work with your mom, I’m so thankful for her sharing your blog with me. I have not been diagnosed with anything yet, but I’m always tired, and it has taken me about 8 years to kind of figure out which foods like me and which ones don’t. Thanks for sharing! Hi Karla! I’m glad my mom introduced you to my blog and that you are enjoying it! That is THE best compliment I hope you know. =) I hope my recipes are ones that like you so that you can try them at home. If there are any foods or recipes you have an interest in that you don’t see on my blog, let me know. I love experimenting! Thank you for reading!